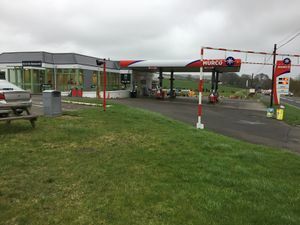 Chicklade services was a signed service station until 2015. It only offers food and fuel. Chicklade was a small branch of Little ChefHistory. It opened in the late 1960s and lasted until September 2012, when there was a wave of closures of under-performing restaurants. Chicklade was lucky to survive this long as it had a partner site two miles down the road at West Knoyle which was refurbished to a much higher standard. When the Little Chef closed the service area was removed from Ordnance Survey maps. The restaurant re-opened in 2013 as Eat & Go, but then closed after a large fire on 10 July 2017. It has since reopened. The forecourt was previously branded Q8 and Pace.